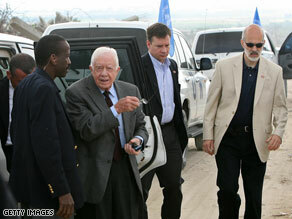 Former President Jimmy Carter arrives in the Ezbet Abed Rabbo district of Jabalia in the northern Gaza Strip. (CNN) - Former U.S. President Jimmy Carter said Tuesday on a visit to Gaza that he had to "hold back tears" when he saw the destruction caused by the deadly campaign Israel waged against Gaza militants in January. Carter was wrapping up a visit to the region during which he met representatives of all sides of the Arab-Israeli conflict. Among the sites he visited was the American school that was destroyed by the bombings Israel initiated in response to rocket attacks launched from Gaza into southern Israel. "It is very distressing to me. I have to hold back tears when I see the deliberate destruction that has been raked against your people. I come to the American school which was educating your children, by my own country. "I see it's been deliberately destroyed by bombs from F16s made in my country and delivered to the Israelis. 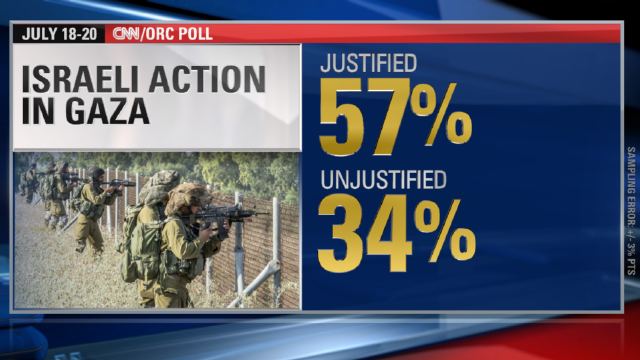 I feel partially responsible for this - as (do) most all Americans and Israelis," Carter said at a news conference. 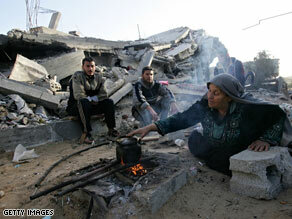 A Palestinian woman makes tea on a wood fire as she sits with her sons amid the rubble of houses in Gaza. 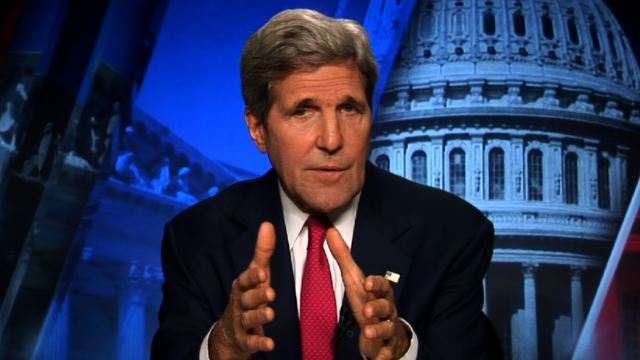 WASHINGTON (CNN) - The Obama administration will provide an additional $20.3 million in humanitarian aid for Palestinians in Gaza, the State Department said Friday. The aid will be distributed through the U.N. Relief and Works Agency for Palestine Refugees, the International Committee for the Red Cross and the United Nations Office for the Coordination of Humanitarian Affairs. The three groups are distributing emergency aid, including food, medical assistance, temporary shelter, employment, and electricity and water to Palestinians in Gaza. The announcement of the aid was also made by Special Envoy for Middle East Peace George Mitchell, who is traveling through the region, where he is conferring with Palestinian and Israeli officials in an attempt to maintain the Hamas-Israel cease-fire and restart a stalled peace process. On Friday Mitchell held a roundtable with humanitarian agencies and was briefed on the situation in Gaza, acting State Department spokesman Robert Wood said. 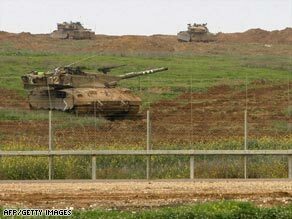 Israeli tanks prepare to leave Gaza on Monday. JERUSALEM (CNN) - Israel plans to have its troops out of Gaza as soon as possible after the weekend cease-fire that ended three weeks of fighting in the Palestinian territory, Israeli officials said Monday. An Israeli Foreign Ministry official said that the pullout, which already had begun Sunday, could be finished by Tuesday evening. The official, who declined to be named, said that the withdrawal could be complete before U.S. President-elect Barack Obama takes his oath of office in Washington at noon ET Tuesday - 7 p.m. in Israel - though commanders have not been given that deadline. The Israel Defense Forces said Sunday that it had begun withdrawing some troops from Gaza, and Israeli government spokesman Mark Regev said Sunday that troops would be out in a matter of days, not weeks. Protestors gathered near the White House Saturday. 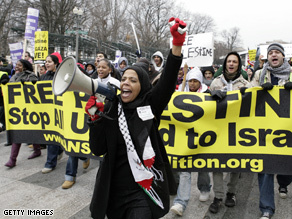 WASHINGTON (CNN) - Thousands of pro-Palestinian activists rallied outside the temporary residence of President-elect Barack Obama Saturday, and called on the incoming leader to stop the violence in Gaza. About 3,000 people carrying signs and chanting "Free Palestine" flooded Lafayette Park, which is sandwiched between the White House and the Hay-Adams Hotel, where the president-elect is living with his family. Carrying a Palestinian and wearing a keffiyeh, Abdel-Kader Elkabil called on the president-elect to take action. "Please Mr. Obama, do something. We love you. We voted for you," said Abdel-Kader Elkabil. "I'm expecting you to do something...you're the only one who can do something."